I just got back from a trip to Napa Valley and Sonoma County where I had a chance to taste tons of interesting wines. On each occasion that I venture out to a wine region I’ve previously visited, one of my goals is to spend the bulk of my time learning about producers I have yet to visit, or whose wines I’ve not yet tasted. But I also tend to pick a couple of places that I have been to previously, but haven’t visited in a long time, and stop in to see if anything has changed. This trip, one of those places was Napa Valley’s Markham Vineyards. While the winery sits in a building that has housed a winery going back much longer, Markham Vineyards itself dates back to the late 1970s. I have known them over the years as a producer of well-made, reasonably priced, premium wines. Their winemaker, Kimberlee Nicholls, has been there for just under 20 years, and she’s been the Head Winemaker since 2001. Her role includes overseeing production of not only the Markham wines, but also the production of their associated labels such as Glass Mountain. Over the years I have been impressed with the wines she makes and the consistent quality and drinkability she gets in the bottle for the price. It was my good fortune that I had the opportunity to taste most of the current Markham Vineyards portfolio alongside Kim. They continue to release absolutely excellent wines that deserve significant attention. Here are three of my favorites from among their current offerings. Markham Vineyards 2011 Sauvignon Blanc was produced exclusively from Napa Valley fruit. This wine is a blend of Sauvignon Blanc (89 percent) and Semillon (11 percent); 21 percent of the Sauvignon Blanc is from the distinct Musqué clone of the grape. Fermentation took place in stainless steel followed by 3½ months in large wood tanks. Roughly 25,000 cases of this wine were produced, and it has a suggested retail price of $15. Tropical and citrus fruit aromas leap from the glass of this wine. White peach flavors emerge in the palate, which is well-balanced and loaded with appealing flavors. Grapefruit and continued tropical fruits continue on the lengthy finish, along with white pepper and a tiny burst of vanilla bean. This is an excellent example of Sauvignon Blanc that is buoyed by the inclusion of Semillon, pushing it towards the White Bordeaux style a bit. This wine is delicious by itself but will also pair very well with food. Markham Vineyards 2010 Cellar 1879 is a proprietary red blend, and the 2010 vintage marks the inaugural release of this wine. This wine is a blend of Merlot (65 percent), Cabernet Sauvignon (29 percent), Petit Verdot (3 percent) and Petite Sirah (3 percent). This wine was barrel-aged over a period of 12 months, and 32 percent of the barrels used were new. About 5,000 cases of this release were produced, and it has a suggested retail price of $24. Their plan with this wine is to change the makeup each year, picking the best grapes from the best spots in their vineyards that help them achieve their vision for this wine. Black and red cherry aromas dominate the nose, and they are joined by hints of toast. Bold red and black fruit flavors, from cherry to raspberry and blackberry, are the story of the palate here, along with chocolate flavors that give way to the persistent finish which shows of bits of espresso and minerals. This is a seamless blend where each of the varietals comes together and truly becomes part of the whole. Everything here works quite harmoniously to produce an absolutely awesome food wine. Markham Vineyards 2009 Cabernet Sauvignon is a brand vintage release produced exclusively from Napa Valley fruit. This wine blends Cabernet Sauvignon (79 percent), Cabernet Franc (7 percent), Petit Verdot (6 percent), Merlot (6 percent) and Petite Sirah (2 percent). Fermentation took place over 14 days followed by 24½ months of barrel aging; 34 percent of the barrels utilized were new oak. Just fewer than 12,000 cases of this wine were produced, and it has a suggested retail price of $36. Red cherry and plum aromas are prominent on the nose of this 2009 Cabernet Sauvignon. The first sip reveals a firm, gripping structure. Loads of berry fruit flavors are joined by copious amounts of spice. Kirsch liqueur emerges on the finish, along with bits of earth and chicory. This wine has excellent tannic structure and firm acidity. This is a young Cabernet Sauvignon that will drink well now if you open it up by decanting it for a couple of hours. Otherwise lay it down for a few years and your patience will be justly rewarded. In either case this is a lovely example of Napa Valley Cabernet whose quality could easily warrant a significantly higher price point. Pair it with substantial and full-flavored foods for excellent results. There is a lot to love at Markham Vineyards. Kim Nicholls has been making consistent food-friendly wines there for well over a decade. The offerings are true to the varietal in question. The Merlot tastes like Merlot, which you realize is actually no small feat once you taste enough of them. Equally importantly to consumers these days are very fairly priced wines for their quality and pedigree. The brand new blend, Cellar 1879, is the steal of the batch. It’s not only food-friendly, it’s also super appealing and the sort of red wine that will help white wine lovers turn the corner and appreciate reds. 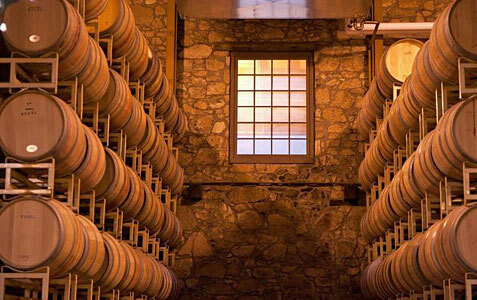 If your travels take you to Napa Valley, you should most definitely visit Markham Vineyards. If that isn’t in the cards in the near future I urge you to head down to your local wine shop and pick up one of their releases. There are better-known names in Napa Valley, but not many offer this quality at these prices. I’m very confident that if you try one of their wines you will become a regular customer, and find yourself recommending them to friends.